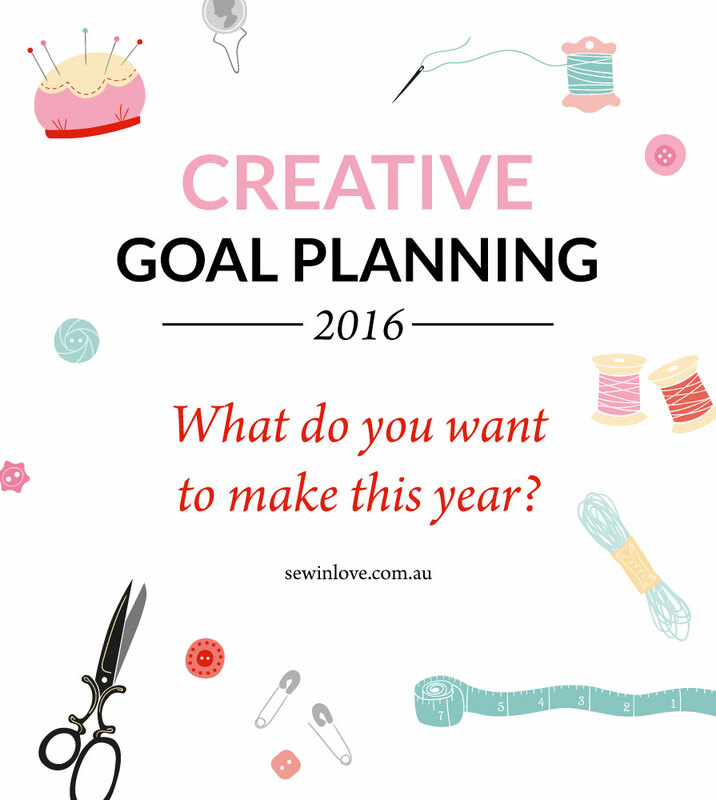 Home Lifestyle	Goal Setting for 2016: What do you want to CREATE next year? December is one of my favourite times of the year; holiday season, yummy food, and long beach days (if you live in Australia). This slower pace of life is the perfect opportunity for goal setting for the coming year. Dave and I like to sit down and set both personal and professional goals, but how about setting some CREATIVE goals? Back in 2014, I set myself some sewing goals. For 2016, I want my goals to encompass all my creative outlets. I had a pretty eventful year to say the least. I started a YouTube channel, moved to Kansas City for 3 months, had a baby, and then moved back from SF to Australia. Phew! In 2016, I’m excited to be a little more settled, enjoy being a Mama and create awesome blog posts for Sew in Love. 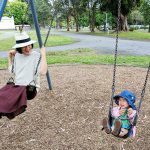 You’ve probably already heard about Me-Made-May, a sewing challenge where crafty bloggers wear something handmade every day for the month of May. It’s been on my radar for a while now, but I always found an excuse not to take part (like being pregnant). So 2016 is the year! I think it’s a great excuse to finally wear those “special” garments we’ve slaved over to complete. It’s also a fantastic motivator to finish off the projects we all have tucked away in the back of the cupboard! In 2016, I want to improve my photography in a big way. I haven’t decided yet whether I’ll go to a physical class or attend online, but I want to take a photography course in the new year so I can take awesome photos. Whether it’s for a birthday or a thank you note, I’m a big fan of handwritten cards. My mother-in-law is in her 70s and has the most beautiful, curly handwriting. I guess our generation just doesn’t write often enough? My handwriting is pretty ho-hum…so I want to fancy things up a bit by learning Calligraphy. This is a wonderful social media event to raise awareness and funds for the Ovarian Cancer Research Foundation. The idea of Frocktober is to wear a dress for every day of October and post a photo on social media. I like to sew dresses, but I spend most of my time in jeans, saving those dresses for “special occasions”. So I’m looking forward to dressing more ladylike for a good cause in October 2016. 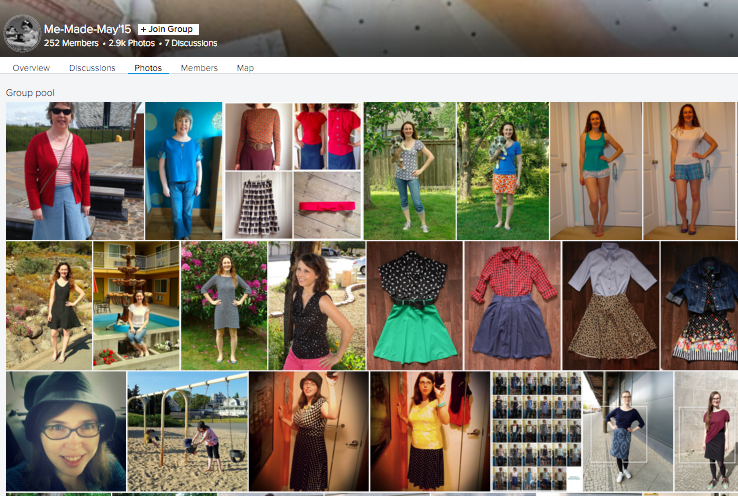 I love making my own designs and creating sewing patterns to make them a reality. In the new year, I plan to develop a range of professional sewing patterns which can be downloaded and printed at home. It’s just at concept stage at the moment, but be sure to be on the look out for modern sewing patterns with an Asian influence in 2016, right here on Sew in Love. Do you set goals for yourself? Do you have any creative goals you’d like to share? I’d love to know what crafts you have planned for 2016. Wow! That’s a lot to accomplish in one year – especially with a little person in your life! Good luck with your plans – I really look forward to hearing/ seeing your projects develop over the year. Remember to be kind to yourself, though, and if ‘life’ or other opportunities intervene to impact your progress and change your goals, go with it!! Thanks Jacqueline – yes, I think I take on a bit too much most of the time, haha. That’s great advice about changing goals along with the changes life throws at us! Using up some of the craft stash, now there’s a great goal for all of us! I too have an intention of using up my stash. I have started that practice lately. I have saved money and found joy in the process. I believe that your 2016 goals are achievable. I will keep reading your posts for your accomplishments! Wishing you the best during the new year! Thanks Deidra. All the best wishes to you for 2016 too (and for using up that fabric stash)! In 2016, i’ll be finishing the school I started in September. I hope to restart my blog and to have more time to sew and knit. 2015 was a nightmare in Paris because of the attacks. I hope 2016 will be better. Happy end of year Rin! Happy end of 2015 Ally 🙂 and my thoughts are with you on the Paris attacks. One of my favourite things to do ever is to listen to an audio book and knit. 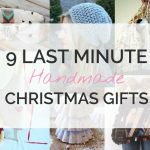 I hope you can indeed find some knitting and sewing time in 2016, and looking forward to checking out your blog!